EV Grieve: EVG Etc. : CBD-infused food sales go up in smoke; L-train mystery smell revealed! EVG Etc. : CBD-infused food sales go up in smoke; L-train mystery smell revealed! A feature on 787 Coffee's "farm to cup" approach in supporting their farm and roasters in Puerto Rico (Telemundo) The coffee shop opened on Seventh Street in October. 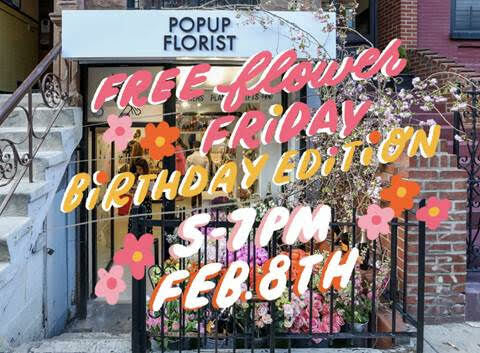 And ahead of Valentine's Day, the Popup Florist is hosting a "Free Flower Friday event" this evening from 5-7 ... and in celebration of their one-year anniversary here at 63 Seventh St. between First Avenue and Second Avenue. 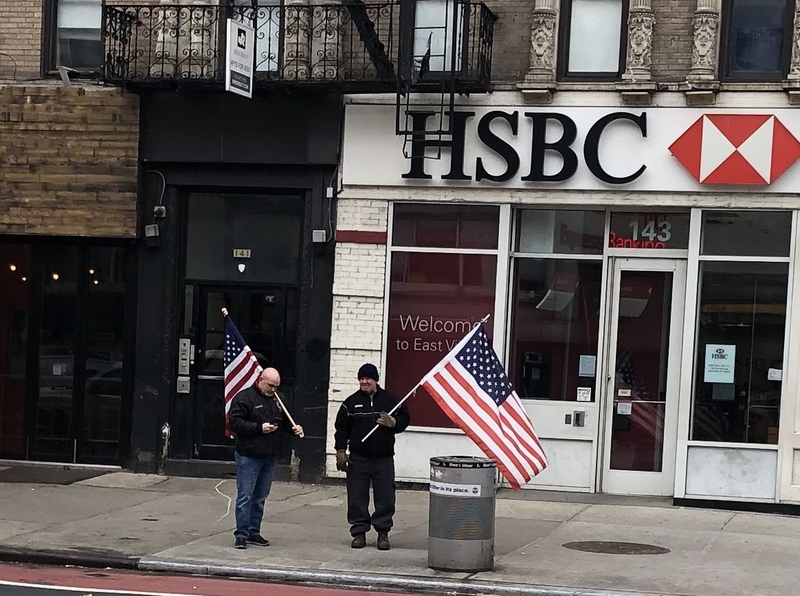 ... and on Jan. 29, Steven spotted these two men holding American flags on Second Avenue at Ninth Street. 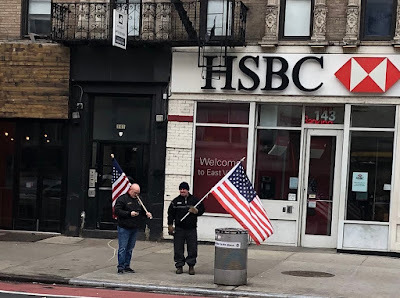 The men, both retired firefighters and 9/11 first responders, said that someone had vandalized the American flag on an ambulance that was parked near this spot. The men said they were here to show respect for the flag and talk about what happened. Now ABC 7 reports that the NYPD has made an arrest in the case. When paramedics returned to the vehicle, they found the flag had been cut in two pieces and was thrown on the street. 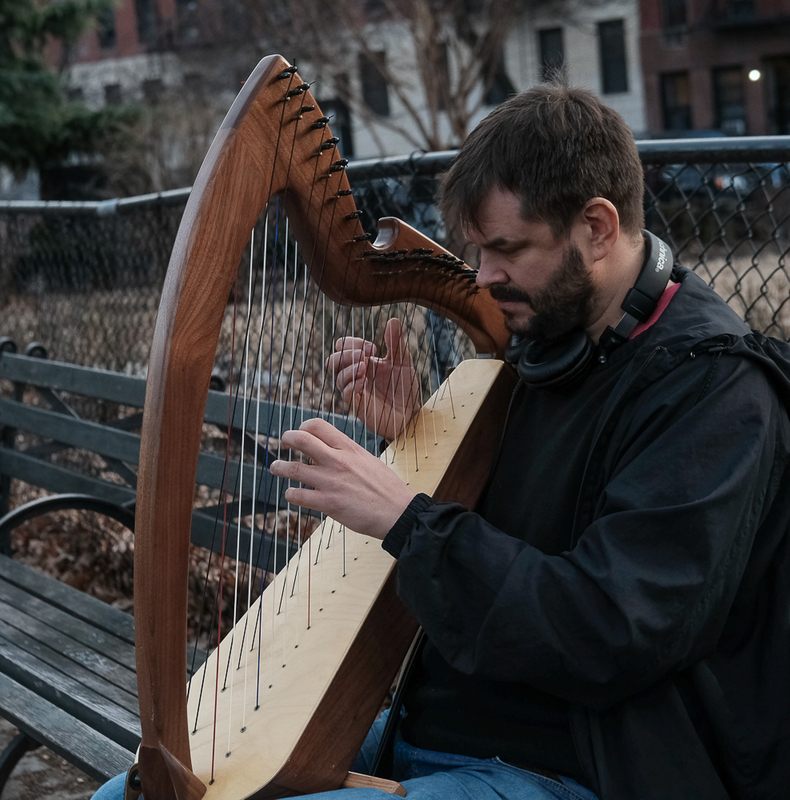 FDNY officials announced Wednesday that 50-year-old Nicholas Leobold has been charged with criminal mischief in connection to the crime. The harpist is Jim Flynn who wrote the book about homeless street people someone was asking about the other day on fb.